Trafalgar Square in August 1926. A rare Autochrome PLate of London in 1926. This has been cropped from a damaged original as Autochromes are fragile and susceptible to fungal damage. This one had extensive fungal damage which is irreversible. This is one of the earliest colour photographs of London and is part of an extensive collection of Autochromes tthat came to light in 2013. In this image we are looking towards the corner of Northumberland Avenue and the Strand. Two buses are seen in the background. This scene has not changed much in nearly ninety years since it was taken. 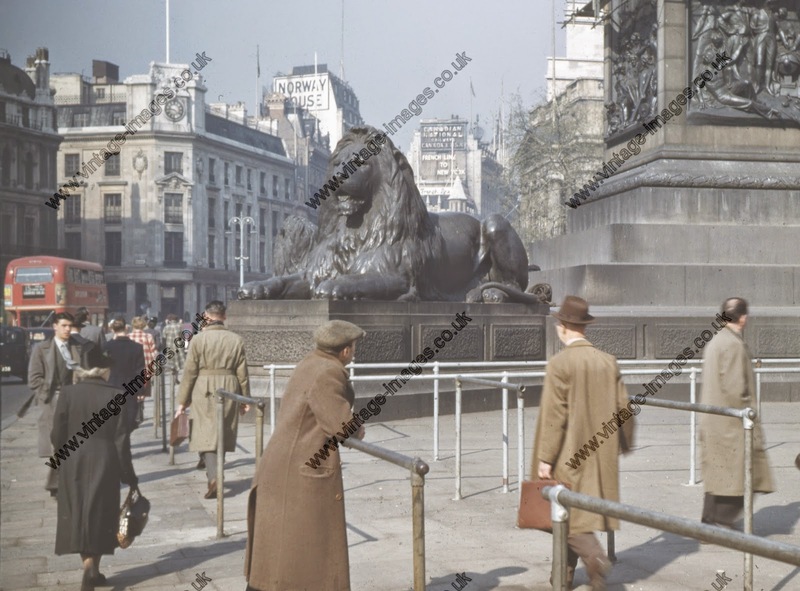 The lions still stand sentinel at the foot of Nelsons Column and people still gather and use it as a meeting place. 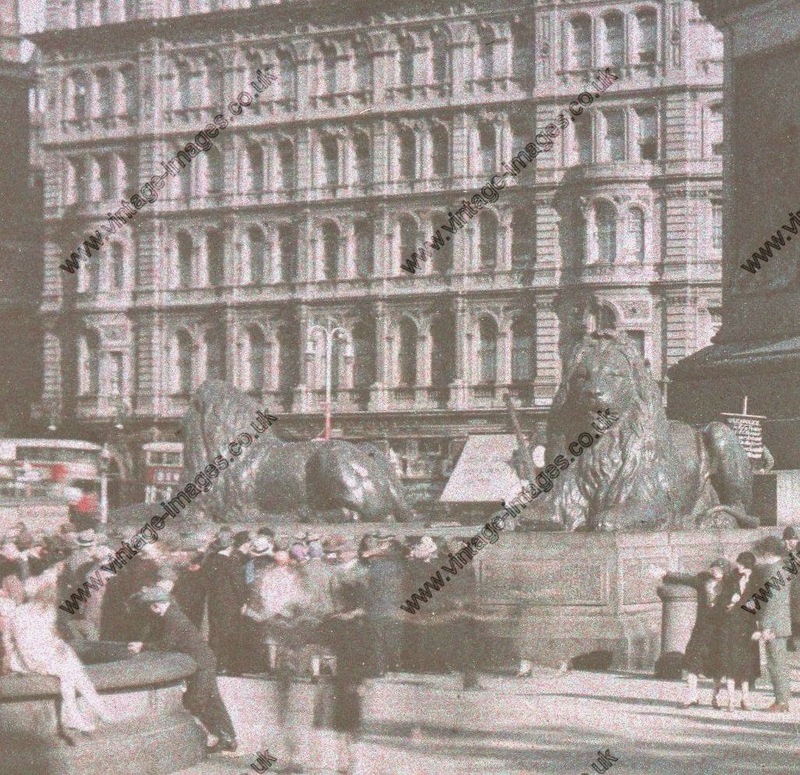 The Lions are seen in more detail in the lower image on what looks like a bitter winters day in the early 1950s.